First lighthouse lit at Kinnaird Head, Fraserburgh. Dr Joseph Bell, inspiration for Sir Arthur Conan Doyle's characted "Sherlock Holmes", born. Mary Slessor, missionary, born at Gilcomston, Aberdeen. Robert Louis Stevenson died in Samoa. William Drummond, poet of Hawthornden, Midlothian, died. Francis II of France, husband of Mary Queen of Scots, dies, leading to her return, the following year, to Scotland. 6 December 1745 Prince Charles Edward Stuart's Jacobite Army began their retreat north from Derby. Henry Stuart, Lord Darnley, born. Allan Cunningham, Scottish Poet, born. Mary Queen of Scots, born at Linlithgow. Malcolm IV "The Maiden" died. Robert Kerr, 1st Earl of Ancram died after this date in poverty, in the Netherlands. 10 December 1540 Act of Annexation of the lordships, lands and castles, with pertinents of Orkney and Shetland. Duncan Forbes of Culloden died. Scots statesman, and loyal to the Government, he persuaded many not to join the Jacobite cause in 1745 and also sought mercy for the Jacobites after their defeat. 10 December 1941 The sinking of HMS PRINCE OF WALES and HMS REPULSE in 1941 by Japanese aircraft off the Malayan coast in the events leading to the fall of Singapore. HMS PRINCE OF WALES had a crew of 1,612 and 20 officers, 280 sailors and 27 marines were lost. The dead included Admiral Sir Tom Phillips, CinC of the Eastern Fleet, and PRINCE OF WALES commanding officer, Capt John C. Leach. .HMS REPULSE was built on the Clyde. Edward VIII's instrument of abdication took effect. Anne of Denmark, wife of James VI and I born. 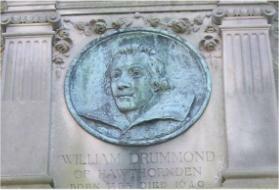 William Drummond, poet of Hawthornden, Midlothian, born. James V died at Falkland Palace. Regency eventually passed to his widow, Mary of Guise. 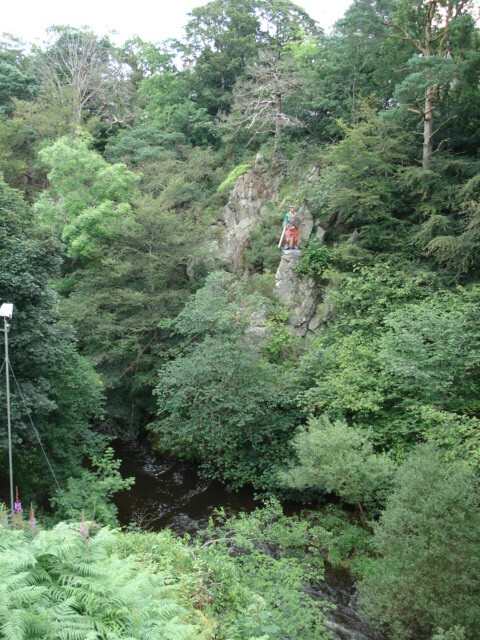 James Bruce, Scots Explorer, and discoverer of the source of the Blue Nile, born at Kinnaird House in Stirlingshire. An investigation subsequently concluded that it was on this day, probably in the afternoon that the three Keepers of the year old Flannan Isles Lighthouse disappeared. The work of the forenoon had been completed and no light was visible that night. No trace of them was ever found. WW Gibson wrote an epic poem on the mystery, "Flannan Isle". James Eric Drummond, 7th Earl of Perth, died. He was a diplomat and the first General Secretary of the League of Nations. Haakon the Old of Norway, died in the Bishop's Palace, Kirkwall,Orkney after his defeat at the Battle of Largs. Act for annexation of Orkney and Shetland to the Crown as Dependencies following centuries of dispute over the control of the Islands, which referred to previous annexation in 1540 and 1612. William Thomson, Lord Kelvin died. He was outstanding in theory as well as practice. His nephew died at sea and caused him to work for safety at sea; his compass was adopted worldwide; his tide gauge was in use for many years. He provided solutions for the laying of the first transatlantic telegraph cables. A system of temperature and make of refrigerator are named after him. 18 December 1661 The "ELIZABETH" of Burntisland sank off the English Coast, returning Scottish Records to Scotland, which had been removed to the Tower of London by Cromwell in 1651. Skirmish at Clifton Moor, near Clifton, the last action on English soil, between Lord George Murray, commanding the rearguard of the Jacobite forces and the Duke of Cumberland's advancing army left 6 Jacobites and 10 Government soldiers dead. First General Assembly of the Church of Scotland. The Winter Solstice. The gently sloping passageway entering the monumental Maeshowe chambered tomb in Orkney is aligned so that at sunset during the three weeks before and after this the shortest day of the year so the light of the setting sun shines straight down it to illuminates the back of the central chamber. The sun’s rays align with a standing stone, the Barnhouse Stone, standing 800 m SSW of Maeshowe. Built around 5,000 years ago, Maeshowe is the finest Neolithic building in North West Europe. It is a masterpiece of Neolithic design and stonework construction, not least for its use of massive individual stones. Thomas Graham, Chemist, born in Glasgow. James Francis Edward Stuart "The Old Pretender", landed at Peterhead, Aberdeenshire, but by 10 February 1716 the Jacobite Rising of 1715 was over, and he returned to France. 22 December 1820 Convicted radicals of the Radical Revolt of 1820 deported to New South Wales on the vessel "SPEKE". Neil Munro, novelist and poet, perhaps best known for his "Para Handy" stories, died at his home, "Cromalt" in Craigendoran, Helensburgh. Jimmy Shand, musician and band leader, died. William the Lion crowned at Scone. He became known as "The Lion" as he was the first to adopt the Lion Rampant as his heraldic symbol. Alexander III knighted by Henry III of England. Born in 1241, he had become King on his father Alexander II's death in 1249, at the age of 7. 26 December 1251 Alexander III married to Henry III of England's eldest daughter, Margaret. He was 10 years old. Charles I while imprisoned in Carisbrooke Castle on the Isle of Wight enters the Engagement with the Scots. A Scots Army was to invaded England in support of the King in exchanged for the establishment of Presbyterianism in England. 26 December 1760 "Roebucks, Garbett and Cadells", later The Carron Company IronWorks, near Falkirk, brought its first blast furnace into operation. Dr Hugh Blair, Doctor of Divinity, died. J M Barrie's "Peter Pan" premiered at the Duke of York Theatre, London. 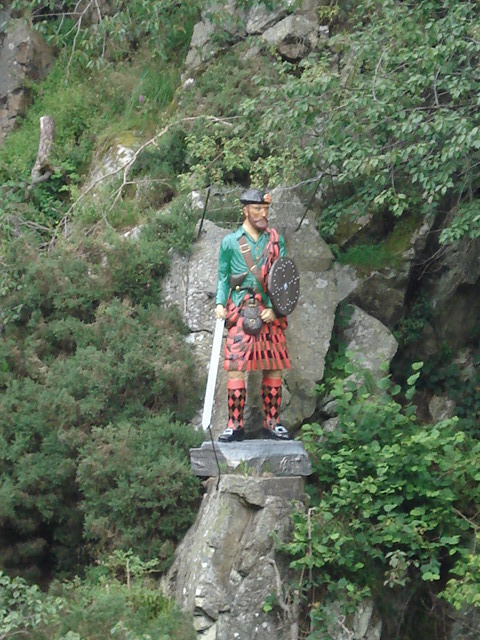 Rob Roy MacGregor died in Old Balquhidder Glen . The Tay Bridge Disaster. During a violent storm at night the bridge, which had only been opened just over 2 years before collapsed and a train went into the Tay, with the loss of over 70 people. There were no survivors. This disaster is remembered in William McGonagall's poem. "HMS NATAL" sank in Cromarty Harbour after an explosion in her magazine with the loss of 421 lives.